"Killer Instinct" will get a "Halo" character in Season 3. 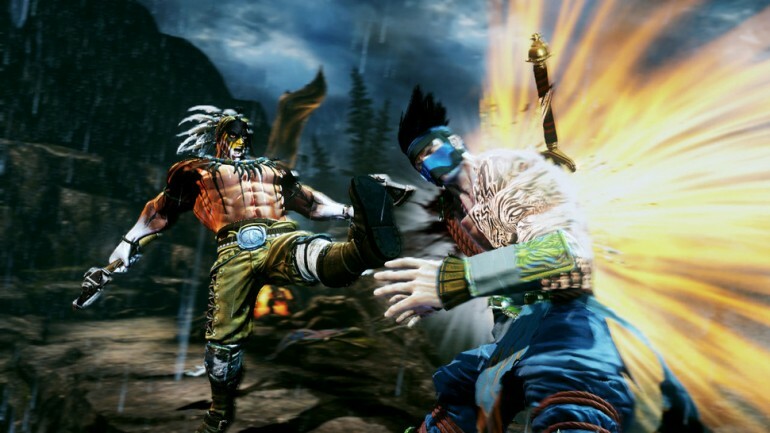 After two years of being on the market, "Killer Instinct" is still going strong thanks to its season based DLC system. Each season a handful of characters are added to the title and it's time for season three. Prior to launching on the Xbox One, "Killer Instinct" only had two games which means a fairly limited amount of characters. "Killer Instinct" and "Killer Instinct 2" each had 11 characters each so the title had a small option to begin with. While the developers tossed in several new guys in the first two seasons, they also exhausted pretty much all of the nostalgia. So in season three, Microsoft is aiming to bring in nostalgia from other popular Microsoft properties. From the trailer we know there are a few characters from "Killer Instinct 2" including Kim Wu, Tusk and the titles big bad guys Gargos. We'll also see Rash from "Battletoads" and Arbiter from the "Halo" franchise. Then there is a new character named Mira, who is Maya's dead sister resurrected as a vampire. Kim Wu, Tusk, Rash and Arbiter are currently available and Mira will be coming to the title in April. Gargos will arrive in May and there are two other fighters coming in June and July respectively. The two summer fighters have yet to be officially named, but recent reports say General RAAM from "Gears of War" is supposedly one of them. While the second character is Eyedol, which is the only original "Killer Instinct" character yet to make an appearance. With these characters that will bring the character count to 26. Furthemore, two additional modes will arrive in season three as well. The first is a new campaign mode called Shadow Lords, which will involve fighting Gargos’ forces on a global scale. There’s also a new multiplayer mode, although there’s no word on what its about.